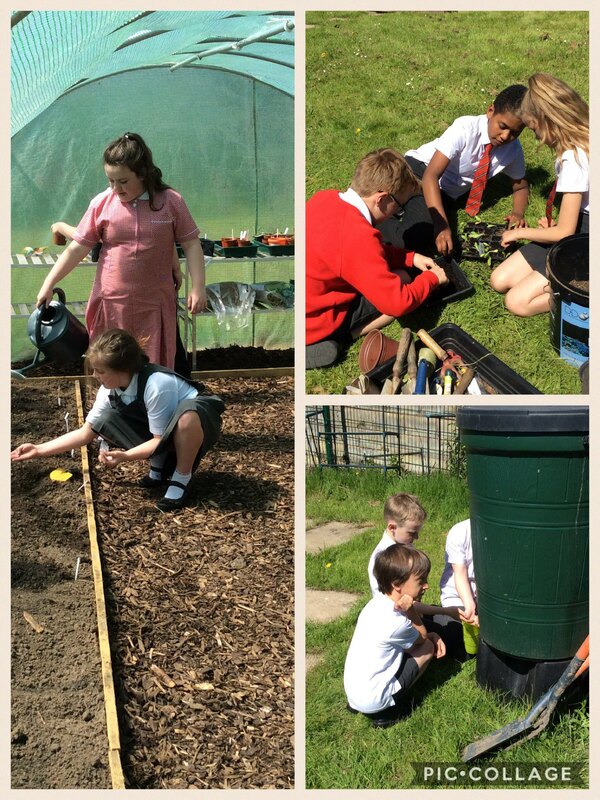 The children in Year 5 have been busy in the garden this afternoon. They have been repotting plants and separating seedlings so that they will grow well. They’ve planted more seeds in the polytunnel and look forward to eating the produce later in the year. This entry was posted in Year 5 and tagged Science on May 14, 2018 by Sandford Hill. There are lots of seedlings in the poly tunnel children. Clearly, you’ve all got green fingers!